Gas Pump Bait & Switch? If you are among the many people that haven’t stepped inside a gas station in years and always pay at the pump, then listen up. There is a concerted effort by gas station owners to charge you a different price per gallon depending on if you pay with cash or credit card. 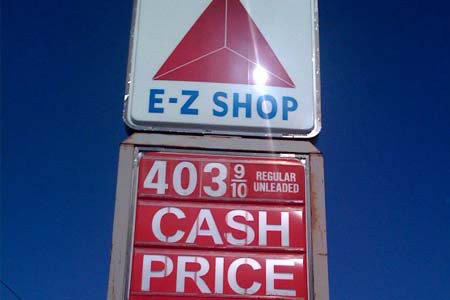 There is now a cash price and a credit card posted for gasoline. Keep a look out for signs posted to signify the different price levels. The reason for this price change is two parted. The owners want you to stop in to pay in person with cash so you are lured to buying a snack while you check-out. Also, it costs the owners more for the monthly credit card transactions and they want to pass the fees on to you. The next time you travel to the gas pump, pay attention to the price per gallon after you swipe your credit card, the price per gallon could change. Do you think it’s fair companies are now charging different prices for gas based on purchase method?